In a continued demonstration of exceptional watchmaking skills, Bulgari presented a new outstanding creation, a piece of art where haute joaillerie and haute horlogerie meet. 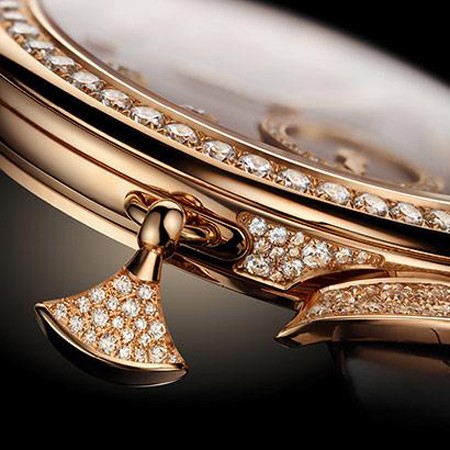 In fact, the new Diva Finissima Minute Repeater is the world’s thinnest repeater – a first in the realm of the greatest complication of all that is generally more coveted by men. 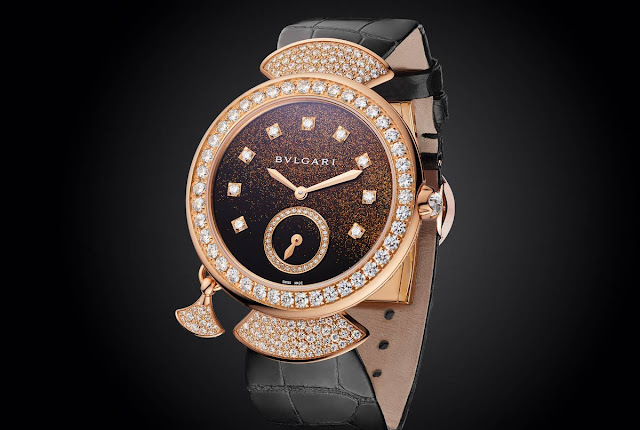 Equipped with the most complex of all complications, the watch asserts at first glance the elegant jewellery personality typical of the Divas’ Dream collection. 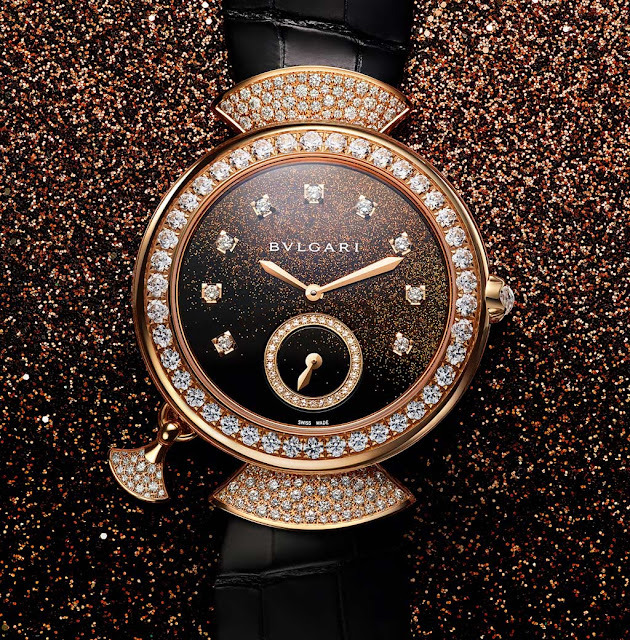 The deep brown lacquer dial, speckled with gold dust using the Japanese artisanal Urushi technique, is framed by a slender 37 mm pink gold case enhanced by voluptuous flared lugs, all set with brilliant-cut diamonds (~ 4.26cts). Hour-markers and small seconds are also set with brilliant-cut diamonds (~ 0.28ct) while a faceted diamond enriches the pink gold crown. Nestled on the side of the case, a tiny pink gold and diamond petal serves to slide the striking mechanism giving a clue of the sophisticated complication hosted inside. 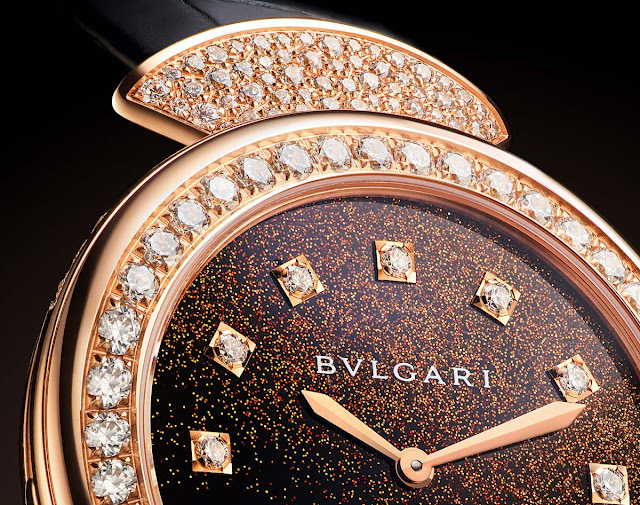 When activated, the Diva Finissima Minute Repeater chimes the hours, quarters and minutes thanks to its Manufacture Bulgari Finissimo movement, the thinnest minute repeater in the world at just 1.95 mm thick. Beating at 21,600 and comprised of 362 parts (hence the name), the hand-wound Calibre BVL 362 movement guarantees 52 hours of power reserve. The watch is secured to the wrist by a black alligator leather strap secured by a pink gold folding clasp set with diamonds (~0.29ct). The total diamond weight is 4.83cts. Bulgari Diva Finissima Minute Repeater. 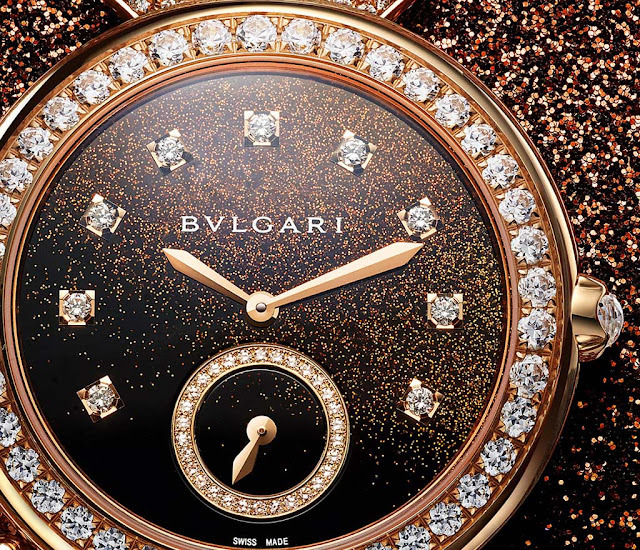 In a continued demonstration of exceptional watchmaking skills, Bulgari presented a new outstanding creation, a piece of art where haute joaillerie and haute horlogerie meet. 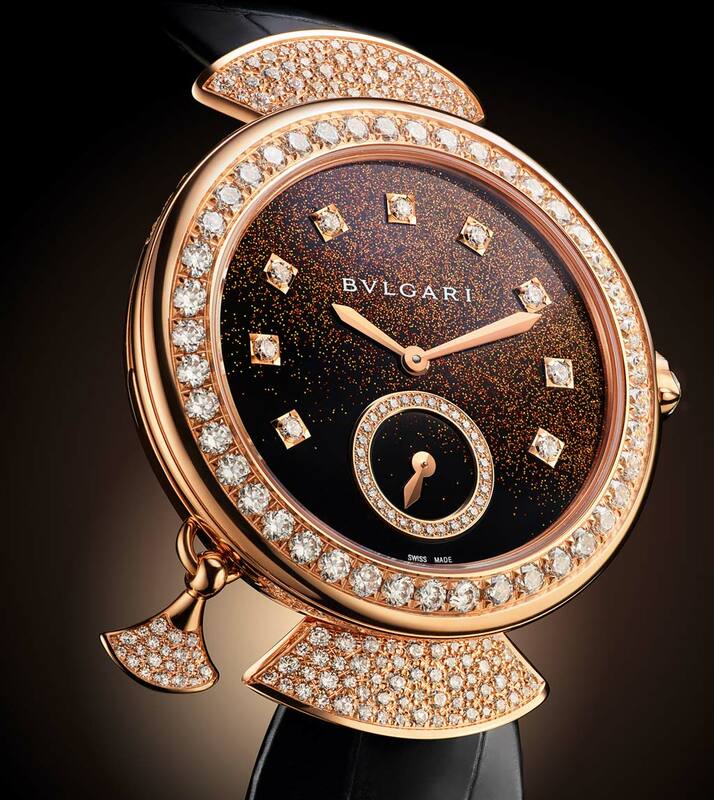 In fact, the new Divas’ Dream Minute Repeater is the world’s thinnest repeater – a first in the realm of the greatest complication of all that is generally more coveted by men. Only 5 pieces of the Bulgari Diva Finissima Minute Repeater will be produced, each with a price of Euro 189,000.